Are you planning an international trip this year? If so, you’re probably making a list of everything you’ll need to bring with you, such as the relevant countries currency, travel converters, important documents, and other items. One of the most important matters you’ll need to take care of before you leave is getting international travel insurance. When you travel to America or any other foreign country, you may face unforeseen challenges, such as unexpected illnesses or accidents, lost baggage, inclement weather, and other issues. Here are four basic factors to consider when buying travel insurance to travel internationally and why you should never leave home without it. There are six main kinds of travel insurance: vacation cancellation, vacation interruption, medical insurance, flight insurance, baggage insurance, and evacuation insurance. Cancellation insurance, which is the most common one, covers sickness, carrier problems, dangerous weather and other unexpected reasons for canceling a trip. It can even include jury duty. While trip cancellation means not going on your trip at all, trip interruption involves starting a trip but having to end it prematurely because of a problem. With trip interruption coverage, you’re reimbursed for only the part of your trip that wasn’t completed. As for medical insurance, most insurance plans cover ambulance and hospital services, dental work and 24/7 emergency assistance. Flight insurance covers problems with flights. Baggage insurance reimburses you for clothing, medications and other essentials when your baggage is delayed, stolen, lost or damaged during your trip. There’s also evacuation insurance. Because emergency medical evacuations typically aren’t covered under most health insurance plans, it’s cheaper to fly back home to your country and use your own healthcare insurance policy to save money. Evacuation costs mostly depend on the distance you need to travel. Before buying travel insurance, check your homeowner’s policy to find out if you’re already covered for situations, such as lost baggage, theft or medical care. Many homeowners’ policies do provide coverage for theft, lost personal property and medical issues. On the other hand, they may not include overseas coverage for these problems, so first, call your healthcare and homeowners’ insurance providers to see if you’re covered. 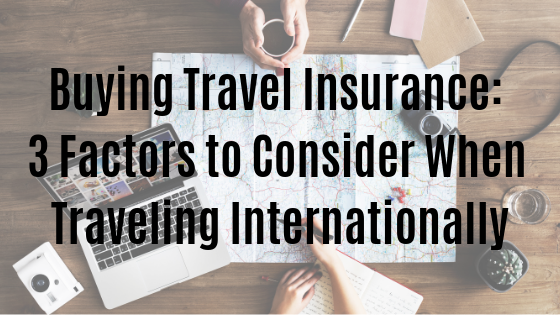 It’s best to buy travel insurance from an agency based from the country you live in. If you are from the US, one of the primary reasons you would want to buy your travel insurance from a USA based agency is that more doctors and hospitals recognize American-based medical insurance. Also, it’s more convenient, along with 24/7 customer support. As a result, you can enjoy your trip more without having to worry about complicated claims. Don’t assume the cheapest insurance plan is the best option. Keep all your bills, receipts and records when traveling overseas. Before agreeing to a policy, read all the fine details. Because most policies are sold in packages, you need to select the one that best fits your needs. In other words, you probably won’t need evacuation insurance if you’re traveling to a large cosmopolitan city, such as London. However, most likely, you’ll need baggage insurance if you have more than one connecting flight. Check the latest travel warnings. Be sure you know how an insurance company defines “family member” or “travel partner”, realizing that your second cousin may not qualify. To save money on travel insurance, buy your policy right after booking your trip since prices increase the closer you get to your trip. Tourists and other foreign visitors, such as those on temporary visas, are not permitted to purchase health insurance from American healthcare marketplaces. Even though U.S. citizens are covered for pre-existing medical conditions under the Affordable Care Act, travel insurance providers do not cover claims for pre-existing conditions for foreigners traveling to America. 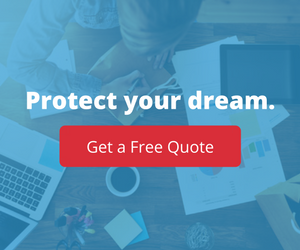 For all your insurance needs, you can depend on the insurance pros at InsureYourCompany.com. Please contact us and learn more about our services.